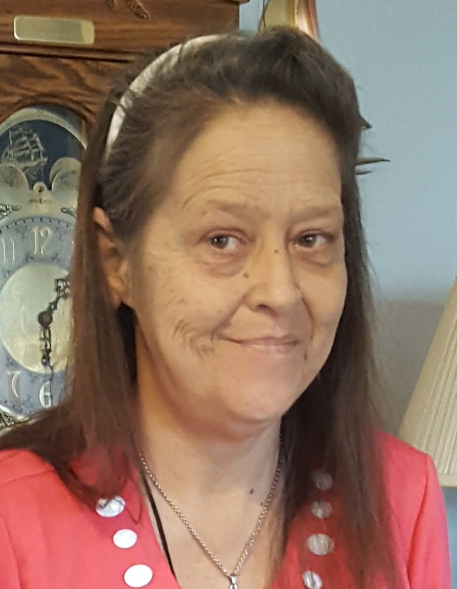 Teresa D. Hughes, 54, of Corydon, died Monday, March 18, 2019, at Baptist Health Floyd in New Albany, Indiana. She was born July 29, 1964, in Corydon, to the late Gaylord Delbert and Donna Marie Briles Duke. She was a member of Calvary Wesleyan Holiness Church near Corydon. She was preceded in death by her parents; her son, Samuel William Hughes; and her brother, Dennis Duke. Survivors include her son, Steven Smith (Mallory) of Corydon; her daughter, Amber East (Jason) of Corydon; her brothers, Vincent Duke (Nanetta) of English, Indiana, David Duke of Corydon, Daniel Duke (Sherry) of Pekin, Indiana, and Delbert Junior Duke of Corydon; her sister, Donnetta Oates of Corydon; her grandchildren, Hailey Smith, Hunter Smith, Addison East, Jaxon Carnley, Jevin Smith, and Jagger Smith; and her great granddaughter, Layla Zuelly. Funeral services will be at 11:00 a.m. Thursday, March 21, 2019, at Beanblossom-Cesar Funeral Home in Corydon. Rev. Tim Stuart and Rev. Hank Ruff will officiate. Burial will be in Oak Grove Cemetery near Corydon. Visitation will be from 2:00 – 8:00 p.m. Wednesday and after 9:00 a.m. Thursday at the funeral home. The family requests that expressions of sympathy be made to the Moving Forward Limb Loss Support Group, Inc. at www.giveforgoodlouisville.org or the American Kidney Fund. Pallbearers will be Vincent, David, Daniel and Delbert Junior Duke, Galen Oates, Fred Misamore, Eric Bolen and Hunter Smith.